Dubai, UAE, May 23, 2018: Upgrades to Panama’s regulatory environment and power system management are critical to achieving the renewable energy goals set out in the country’s National Energy Plan, per a Renewables Readiness Assessment Panama report released by the International Renewable Energy Agency (IRENA). The report was launched at high-level event in Panama City today and presented to the country’s Secretary of Energy, Dr. Victor Urrutia. A central recommendation of the report calls for amendments to the country’s regulation of Power Purchase Agreements (PPAs) for variable renewable energy sources, such as solar and wind. Currently, these renewable energy technologies are attributed a value of zero ‘firm capacity’ – the actual amount of energy that a power plant can guarantee to make available under maximum operating conditions – while thermal power plants and hydropower facilities are rewarded with far higher firm capacity values. 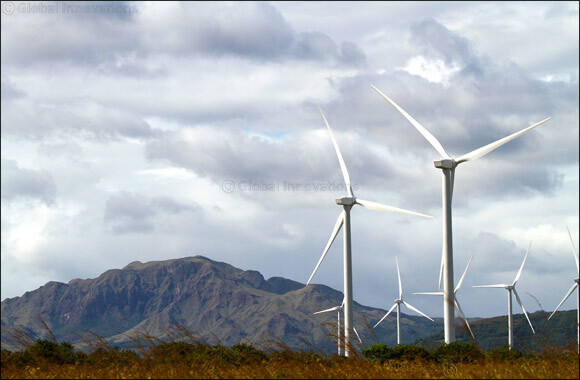 This makes solar and wind less competitive in Panama’s wholesale electricity market, and can disincentivise investment. Panama’s National Energy Plan is a roadmap that seeks to increase the share of renewables in the power system to 70 per cent by 2050. By the end of 2016, wind and solar power capacity had reached 270 megawatts (MW) and 90 MW respectively. “Panama can set a strong example for the Central American region by utilising our potential to generate 70 per cent of our electricity from hydropower, wind and solar resources,” said Dr. Victor Urrutia, Secretary for Energy for Panama. “IRENA’s support through this RRA process will facilitate the realisation of our long-term ambition. Increased shares of solar and wind will also require significant flexibility mechanisms in Panama’s evolving electricity network. Combined with updated power system planning and operational practices, these measures can help ensure the reliable integration of variable renewable energy in a cost-effective manner, the report suggests. The development of a domestic renewable energy workforce is also key to the success of Panama’s renewable energy programme and can bolster the growing solar PV and wind energy markets in the country. The report recommends an examination of the current national workforce in the field of renewables, compared with projected future needs in order to help inform modifications to domestic education and training programmes.